WireChief Electric Ltd. is a family-owned electrician company serving North Vancouver & the Lower Mainland. 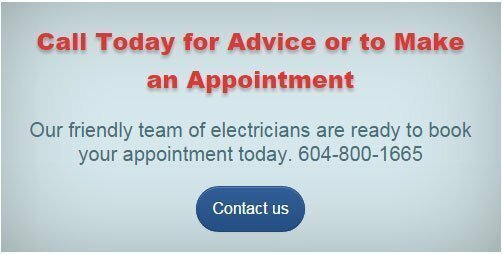 Need an Electrician in North Vancouver? We are a Licensed, Bonded and an Insured Electrical Contractor ensuring a standard of excellence to our clients. Whether the task is as simple as adding an extra outlet, or as expansive as wiring your new dream home with the latest home automation and energy-saving systems, WireChief Electric Ltd will be there to help. We understand what is important to our customers; doing the job promptly, courteously, professionally, and cost-effectively. 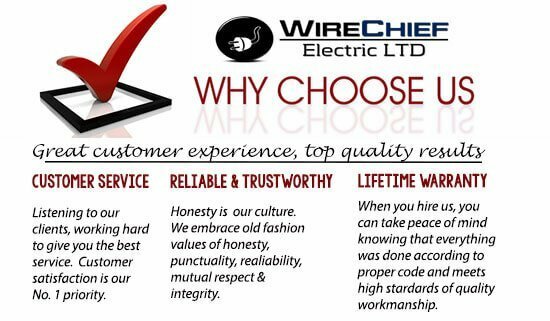 WireChief Electric Ltd is committed to providing its clients with high levels of expertise and service response at reasonable rates. We ensure quality workmanship in every project by adhering to industry standards and client specification. Even if we’re busy, we return phone calls and emails promptly. We are always easy to reach out. We respect our client’s time and feel that it is important to be timely for all booked appointments. We are honest and we deliver what we promise. We provide everything according to the terms of our contract and finish the job as scheduled. We speak honestly about pricing before a job starts so that there are no surprises at the end of a work. We take pride in our work and we are keen about what we do. Our passion and outstanding workmanship are reflected in every project. Our North Vancouver electricians will treat you politely. Our electricians will treat your home with deference. Our experienced electricians will wear shoe protectors over their boots and use drop cloths to protect your floor and furniture. Our North Vancouver electricians will leave your home clean, if not cleaner than when we arrive. Our electricians live, work and play in the area. We have always believed in giving back to our community. We offer you – peace of mind- for life with our lifetime guarantee for all our North Vancouver electrical services.